I’d recently heard some beauty gossip about these miracle, makeup removal, “all-in-one” cloths. My sister told me about how she loved the one she’d recently bought. So when the opportunity came to do this FaceOff Review– I was ready to jump on the bandwagon! 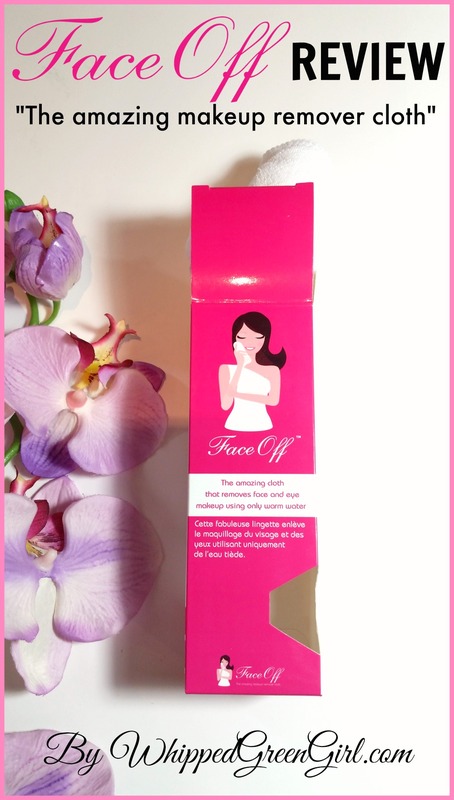 FaceOff is a one shot deal; able to cleanse, exfoliate, and remove makeup all at once! Safe for all skin types and void of any harsh chemicals, it’s a great product for all ages and faces. Nothing complicated, just wet the cloth and wipe. FaceOff is Safe & Works! I love the fact this cloth is environmentally friendly, chemical-free, and all-natural. It’s easy to use and your skin comes out feeling clean and makeup-free. 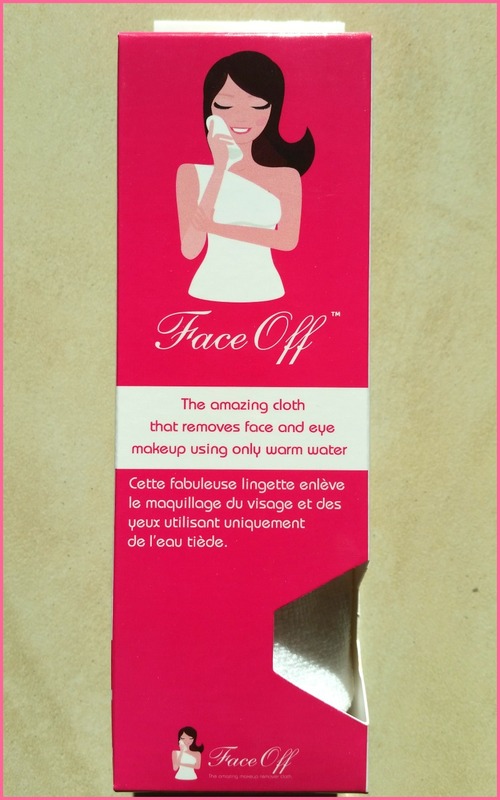 My ol’ washcloths just don’t have the power to get off my mascara like FaceOff did- so hats off! 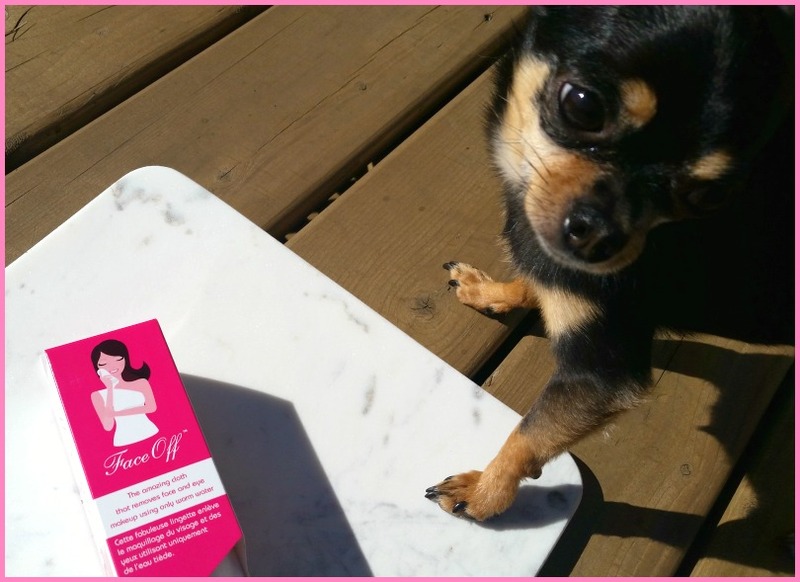 I get the idea now, why so many people are talking about these stellar makeup remover cloths- it worked for me. This cloth makes makeup removal way cheaper and faster since I don’t need an expensive makeup remover cleanser + exfoliator… I just need my cloth. FaceOff washed away my mascara without having to scratch or irritate my super sensitive eyelids too. Water and a cloth, it doesn’t get more simple and effective. 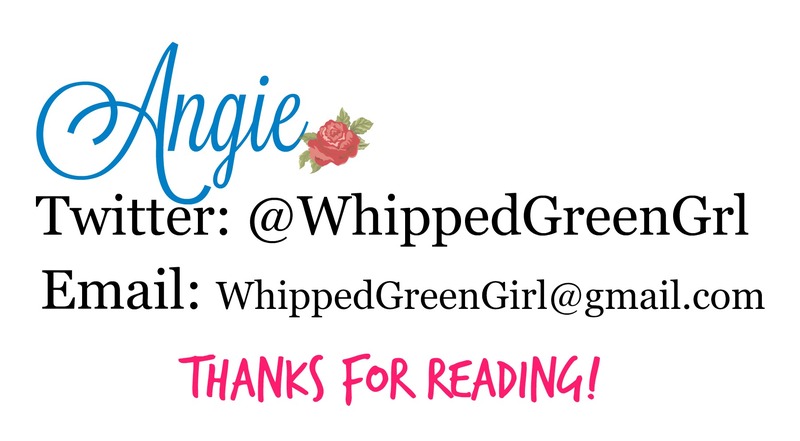 Thanks for reading my FaceOff Review! For anyone who’s considering using this type of beauty rag, I hope I sealed the deal for you. For more information on FaceOff go HERE! this sounds fascinating! I’ll have to look into it- thanks for sharing! P.s. your dog is so adorable! !